Pizza Titusville: Don’t Eat It Cold! You order pizza late one night after you go out with some friends. The night was a fun one; however, you didn’t finish all of your pizza and you’re left with almost half a pie that’s begging to be eaten in the morning. The next morning instead of making breakfast and spending time trying to find something to eat when all you want to do is stay in bed, you decide to eat cold pizza. After all, it’s easier and it’s…okay. It’s not too good and it’s not too bad, but it’s edible. But — wait! Instead of consuming that piece of pizza cold and only being half-satisfied with it, why don’t you enjoy a steamy, hot pizza that’s just as good as the night before? If you’re not sure how to accomplish that reheated slice of pizza that’s absolutely delicious, then hold on to that cardboard box and check out some methods that will re-create that delicious taste from the night before. We present to you four methods for you to reheat pizza. It’s essential that before we dive into how to reheat pizza, that you address how to store the pizza. Instead of keeping it in the box or wrapping it in foil, you’ll want to put it on a plate or in a Tupperware with paper towels between each layer of pizza. Then you’ll want to wrap the entire pizza tower in plastic wrap to keep it fresh and tasty. Once you’ve wrapped it in plastic and paper towels, you’ll want to store it in the fridge overnight until you heat it up in the morning or during the rest of the day. So what are these methods? Let’s find out. The oven might be the most obvious place to heat up pizza, but it’s one of our favorites because it’s efficient and it’s almost like eating a fresh piece of pizza. Place that slice in the oven for about five minutes at 350 degrees and then enjoy how warm and crispy it is, just like if you had ordered it fresh from Kelsey’s Pizza. This is the easiest method by far because you just throw it in the microwave, set the time, and wait it out. While it’s not our favorite method, we understand that you might be in a rush and will need a convenient method to enjoy that slice. To get the most out of a slice of pizza, you’ll want to put it on high for 30 seconds and watch it to make sure it doesn’t become rubbery and inedible. A less common way to heat up pizza, the skillet is a different way to enjoy yesterday’s slice. Put it in a skillet, turn the stove to low-medium and then watch it diligently to ensure that it doesn’t become a mess. Additionally, you’ll want to place a lid over it to keep it hot and then time it until the cheese bubbles deliciously. Kelsey’s Pizza is proud to offer homemade dough that’s delicious, nutritious, and great in the morning and the night. Whether you get a more traditional or a specialty pizza, our pies are absolutely mouthwatering. Made in a traditional stone oven and not in a microwave, you’ll enjoy these homemade and fresh pies. 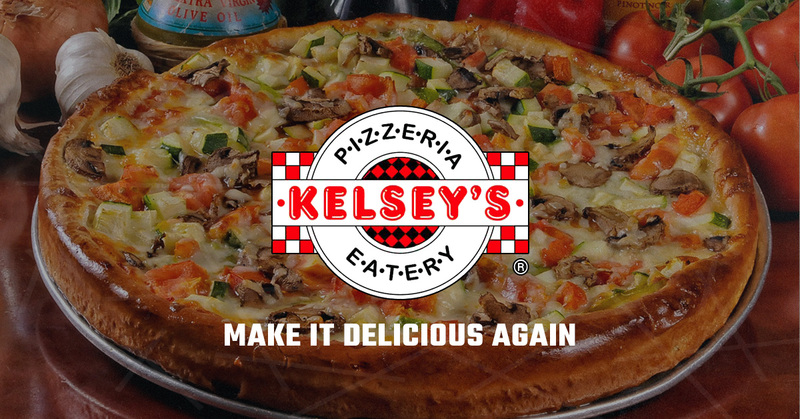 If you want to try some of our pizza, then stop into Kelsey’s Pizza to enjoy a slice.